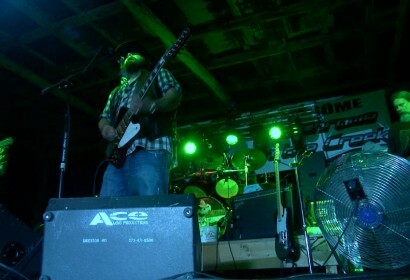 Our Twitter feed is currently unavailable but you can visit our official twitter page @PowderMillBand. The re-release of “Live in Carter County” in the form of a download card is now available for only $5! Better than that, if you place any order for any other product in the store, besides the download card, we’ll include the download card with your shipment FREE! Take advantage of this great deal today… More info here. The boys are very pleased to announce that they have been asked to be one of the house bands at Michael Ballard’s Full Throttle Saloon for the 75th anniversary of the Sturgis Motorcycle Rally in Sturgis, Douth Dakota. They’ll be performing two shows daily from July 24 – Aug 8, so if you’re up in Mt. Rushmore territory, swing in for a cold one and some fancy conversation! More info here. Raw rockin’ Americana blues and Appalatchy slop bucket country that answers the question “why” without slapping the truth across your face. Produced by Jeff Chapman and Mark McPheeters. Available where ever fine music is sold on September 30th. Preview the music at JesseHammock.com. 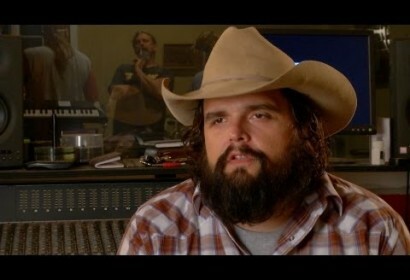 Stay in touch with Jesse on Facebook. The 3rd annual “Rock the Spectrum” event presented by Branson’s Nantucket will be held on Friday, September 5, 2014 at The Branson Landing. All monies raised will go to directly help families affected by autism in Branson, Missouri and surrounding areas. This show is FREE and open to the public. Powder Mill is proud to perform and be a part of such a worthwhile, notable event. More info here. Thanks to the Daredevils and the City of Springfield, the entire concert will be shown at Park Central Square live on a 16×30 ft screen, free to the public! So bring your lawn chairs and enjoy the Rte 66 Concert on Rte 66. 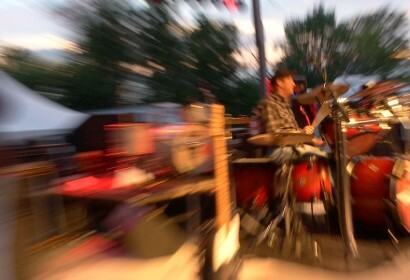 Powder Mill kicks off the show at 7:00 pm. More info here. Shot on location in the band’s beloved hometown of Van Buren, MO in Carter County’s Ozark foothills, the video highlights the often raucously comedic and equally stormy relationship of an imperfect but passionate couple who quite simply can’t live with or without each other. Watch on PowderMillTV. 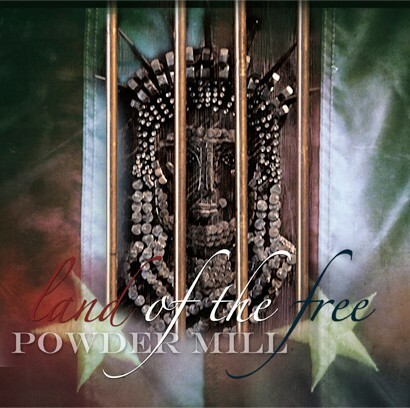 Powder Mill is proud to announce the release on 9/11 of “Land Of The Free,” the 5th album to be included in the Mill’s arsenal. Mississippi’s own Jimbo Mathus also made a guest appearance to lend some of his catfish music vocals to “Mississippi Showboat” which was co-written by Powder Mill’s stepdaddy Fred Friction. The band brought the tracks home to their beloved Trumble Hill Studios in Carter County, Van Buren, MO to finish recording the album. 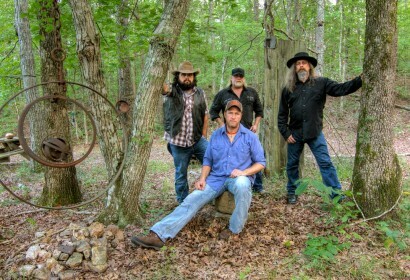 Powder Mill’s own Jeff Chapman, along with Mark McPheeters, mixed and produced “Land Of The Free,” incorporating the distinct home-grown Ozark grit and feel that Powder Mill fans have grown accustomed to.